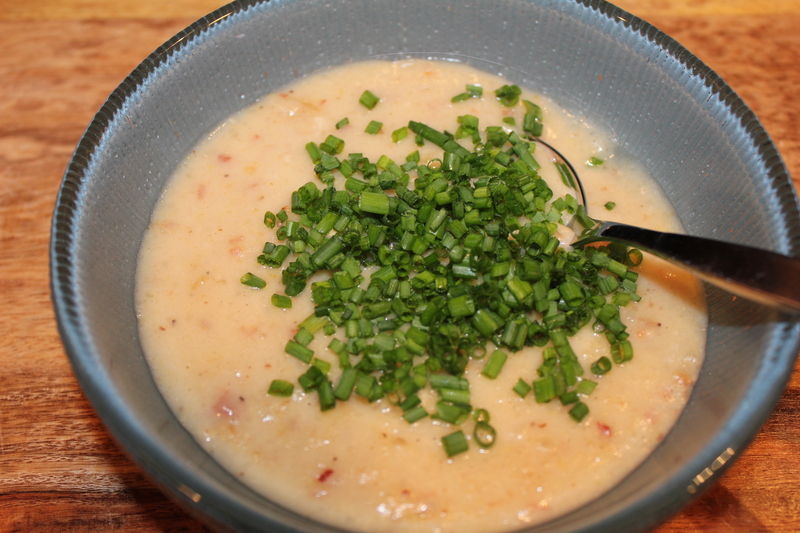 This Potato Leek Turnip and Bacon Soup came together in an ad hoc manner. I noticed potato leek soup in the soup bar at the store. When I got home there were turnips in the vegetable bin. The bacon was a no brainer. 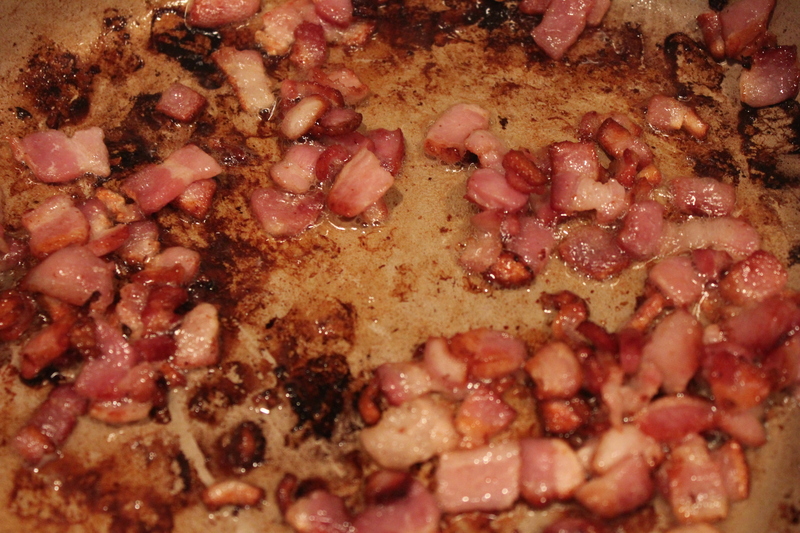 Put the bacon in a cold large Dutch oven or saucepan pot over medium heat, cook, stirring occasionally until fat is rendered and the bacon is crisp. Remove to a paper-towel lined plate. 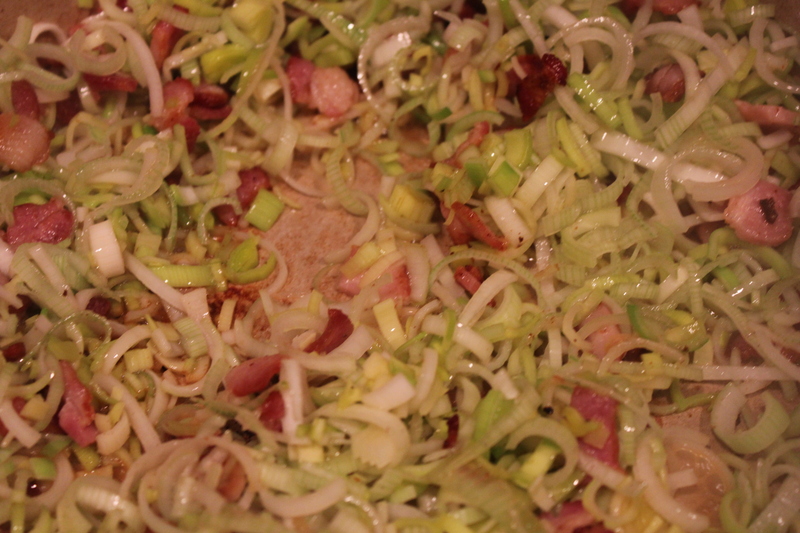 Pour off all but 1 tablespoon of the bacon fat and add the onions. Cover and sweat for three minutes; scrape the bottom to remove any flavorful tidbits. 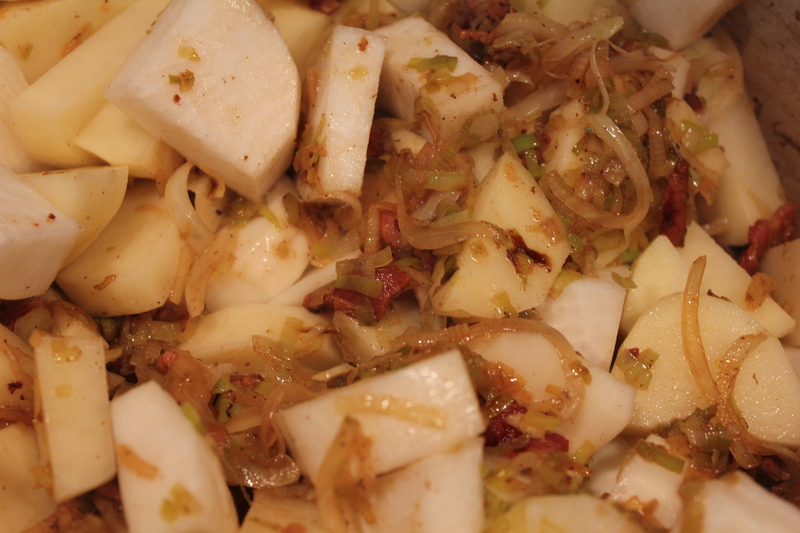 Stir in the potatoes, turnips, stock or water, salt and pepper, bring to a boil, then lower the heat to a gentle simmer and cook until the vegetables are very tender; they should easily break apart when pushed against the side of the pan with a spoon. The timing will vary depending on the size of the potatoes and turnips. Let the soup cool for about 20 minutes then purée in a blender, food processor or with an immersion blender until completely smooth. See our post on how to safely blend hot ingredients. Reheat and top with chopped chives.